This newsletter was sent out on Tuesday, December 22, 2009. Welcome [fname], Forgot your login? Log in at www.bankrollmob.com and click the "Mob Account"-button to find the Christmas Calendar, then click the daily door! This is your chance to play in the largest online poker tournament in history, and be part of a Guinness World Record. 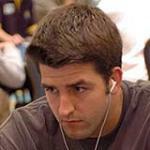 PokerStars are aiming to beat their previous World Record of 65,000 players, set in July 2009. And with a buy-in of just $1, it’s easy for everyone to take part. 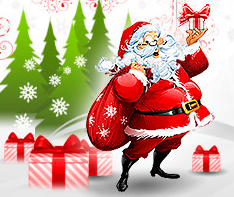 NordicBet Poker offers all BankrollMob members an end-of-year freeroll with a prize pool of €250. The freeroll is scheduled for December 30th at 20:00 GMT (21:00 CET). CLICK HERE to create an account with NordicBet Poker now! Requirements: You must have a NordicBet Poker account created through BankrollMob. If you do not have one, make sure you create one before December 28th, as NordicBet will only invite accounts created 48 hours before the freeroll. To promote the launch, NordicBet Casino will be offering special incentives that can only be accessed via the client. These include free spins on the popular Mega Fortune and Blood Suckers slot games, cash bonuses for playing a set number of game rounds, and an exclusive tournament with prizes for the top 30 players. Both new and existing NordicBet Casino players can take part in the free spins promotion. CLICK HERE to create an account and for more information, if you do not already have an account. Start play with your free spins today! The free spins promotion expires January 3rd 2010 - don't wait too long!